The Center of Comparative Medicine and Pathology (CCMP) is an academically oriented, interdisciplinary center that supports the development, characterization, care, and use of animal models at Memorial Sloan Kettering. CCMP is home to the Research Animal Resource Center (RARC), the unit providing husbandry, clinical care, and training in association with research animal model development and use, and the Laboratory of Comparative Pathology (LCP), a full-service diagnostic laboratory offering clinical and anatomic pathology services in support research as well as Memorial Sloan Kettering’s animal care and use program. The LCP also operates the Genetically Modified Animal Phenotyping Service, which conducts extensive baseline phenotypic profiling of genetically engineered animals. RARC is composed of the following sections: Aquatic Services and Systems, Biosecurity, Education and Quality Assurance, Husbandry and Operations, and Veterinary Services. RARC provides housing, husbandry, life support system maintenance, and professional services for aquatic research models including the South African clawed frog (Xenopus laevis) and the zebrafish (Danio rerio). Specialized aquatics staff are responsible for the provision of clinical care and implementation of biosecurity (quarantine and health surveillance) programs. Biosecurity is defined as all measures taken to prevent, detect, contain, and eradicate adventitious infections in rodent colonies. It is well documented that infectious diseases in rodents can significantly alter research data obtained from infected colonies. This is not only the case for infections that cause overt clinical disease, but to a great extent it is also true for subclinical infections. Healthy rodents produce better data, which results in better research. RARC’s Education and Quality Assurance (EQA) section provides information and training on all aspects of the humane care and use of animals in research, education, and testing, in addition to ensuring that investigative and RARC staff understand and are compliant with the federal, state, and institutional laws, regulations, and policies that govern their use. EQA offers both didactic and hands-on training, which can be tailored to an individual’s or laboratory’s needs. EQA produces RARC’s “User’s Guide” and various other educational materials that can be accessed through RARC’s intranet site. EQA also offers a protocol pre-review service: Consultations can be arranged to assist investigative staff with the preparation and submission of their Institutional Animal Care and Use Committee (IACUC) protocol to facilitate timely IACUC review and approval. EQA coordinates both an animal model development and an animal tissue conservation program. These programs facilitate the development of new models and the process of obtaining animal tissues. RARC’s Husbandry and Operations (H&O) section provides daily care and monitoring of all animals housed in Memorial Sloan Kettering’s animal facilities seven days a week, 365 days a year. H&O’s goal is to provide the highest-quality care to the animals in their charge in order to enhance the research conducted using animal models at Memorial Sloan Kettering. Services include gross, radiographic, and microscopic examination of animals and their tissues by comparative pathologists. The anatomic pathology section includes a histology laboratory that prepares slides and a wide variety of histochemical and immunohistochemical stains for pathologists and investigative staff. Services consist of evaluation of blood, other fluids, and environmental samples. These disciplines include hematology, serum chemistry, urinalysis, microbiology, parasitology, serology, and water analysis. 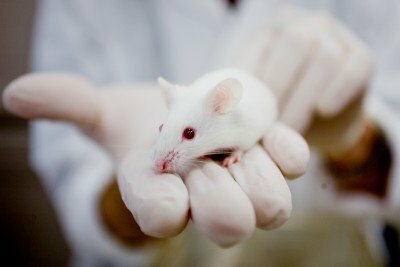 The role of the LCP in research support is very diverse, but a major focus of the laboratory is the characterization of novel genetically modified animals, predominantly mice. This service is provided by the Genetically Modified Animal Phenotyping Core Facility, which is housed within the LCP. By performing a comprehensive evaluation of animals, the LCP assists researchers in investigating the role of genes in diseases and in validating animal models of human diseases that can then be used to develop treatments.